How Much Does the 2018 Toyota Highlander Cost? How Many MPG Does the 2018 Toyota Highlander Get? What’s New for the 2018 Toyota Highlander? After a mid-generation refresh last year, the Toyota Highlander enters 2018 without major changes. Read on to learn more about the midsize SUV named one of the best three-row SUVs for the money and for families by U.S. News and World Report. The base engine in the 2018 Highlander is a 185-horsepower 2.7-liter four-cylinder. Drivers who want to take advantage of even more power can opt for the available V6, which provides 295 horses as well as improved gas mileage thanks to the stop and start transmission. You’ll get an EPA-estimated 20/27 city/highway miles per gallon. Standard tech includes a 6.1-inch touchscreen infotainment system, five USB ports throughout the cabin, Bluetooth, and voice recognition. The 2018 Highlander is also one of the few midsize SUVs with standard driver assistance systems in every trim. These include forward collision warning, automatic emergency braking, pedestrian detection, a standard rearview camera, lane-departure warning, lane keep assist, automatic high beams, and adaptive cruise control. In addition to a wealth of standard safety tech, the Toyota Highlander has earned a five-star overall crash test rating from the National Highway and Traffic Safety Administration. 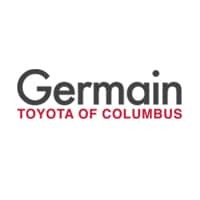 If you’re ready to take the 2018 Toyota Highlander for a spin, visit us at Germain Toyota of Columbus today. Our friendly sales staff will be happy to assist.